Accessing Job History is typically a chore in most companies. Not having it handy for executives and managers (with permissions) leaves them to make decisions without the detailed information they need. But with HRSoftware.me it’s simple! 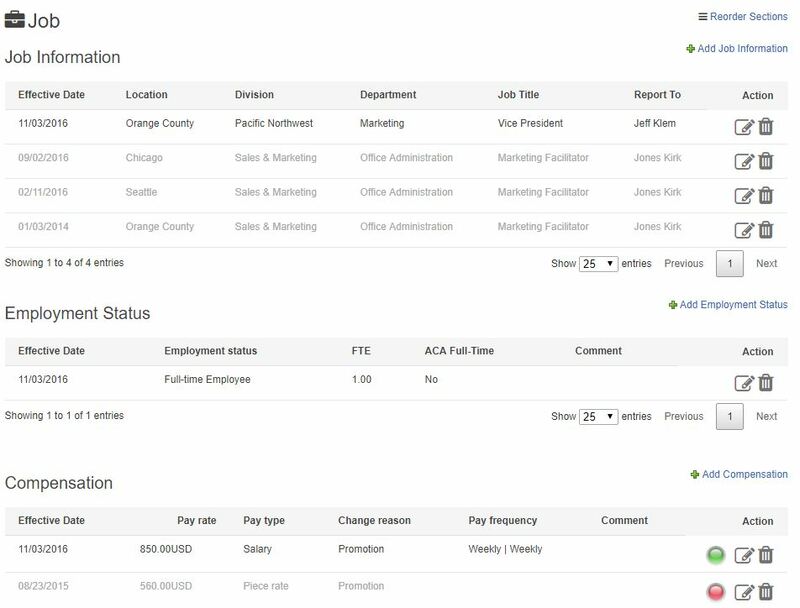 The “Job” tab in HRSoftware.me offers you a complete history of all job related information for every employee. It shows their existing job, location, title and effective dates and any prior positions and dates. It shows a complete history of their employment status. It also shows a complete compensation history and history of leaves, if any.